Since Easter Island (Rapa Nui) was first “discovered” nearly 300 years ago, its people, culture and monolithic statues have been seen as an unsolvable riddle. At the heart of the so-called mystery stand the gigantic moai. How were they moved? What do they mean? Over more than twelve years, nearly 1000 statues have been measured, drawn and photgraphed by Jo Anne Van Tilburg and a team of colleagues. 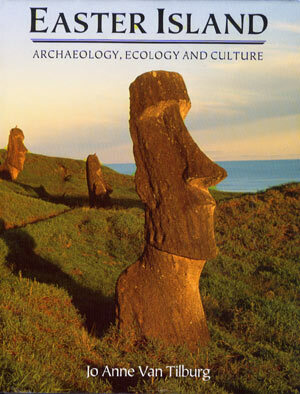 In this ground-breaking title, the author draws on the insights that have been gained, to examine Rapa Nui prehistory in the context of new understandings of ecology and culture.